Blog post revisiting Milton Gendel's 1954 article “Burri Makes a Picture,” republished on the occasion of the exhibition Alberto Burri: The Trauma of Painting at the Guggenheim Museum, New York, on view October 9, 2015 - January 6, 2016. Gendel observed: "Burri’s paintings are seen most clearly as manipulated objects while he is working on them. He rejects the usual formal relationship between painter and painting, where the canvas remains fixed and the painter moves forward. 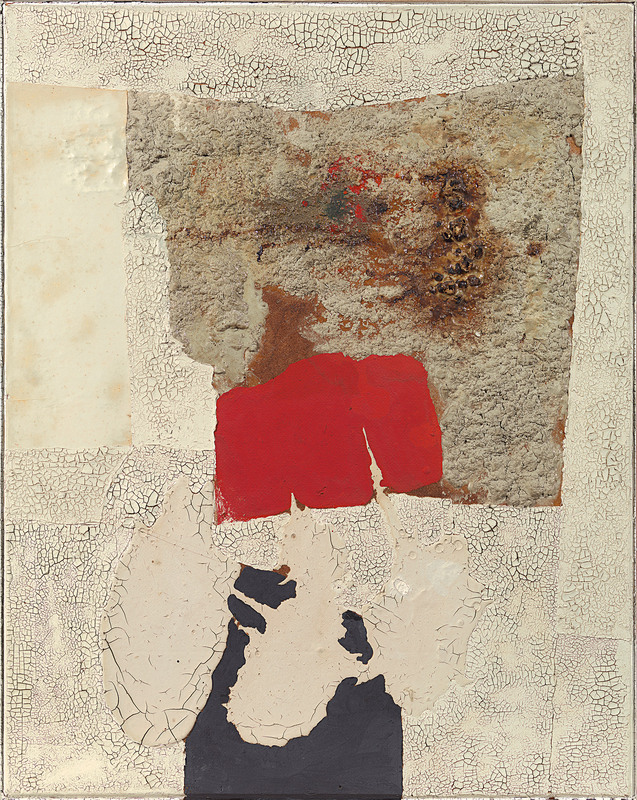 With Burri, both he and the canvas are in movement. The canvas is laid on the floor, dragged across the room, propped up in a corner or hung on the wall. It is attacked from the front or from the rear. Often it is a canvas only in the generic sense, consisting of untreated fabric progressively built up with cement, sacking and tempera."